Comedy-drama or dramedy, is a genre in film and in television works in which plot elements are a combination of comedy and drama. It is a subgenre of contemporary tragicomedy. Comedy-drama is especially found in television programs and is considered a "hybrid genre". With a variety of influences, including Louis Malle's 1963 film The Fire Within and Orson Welles' 1942 film The Magnificent Ambersons , the story involves themes of the dysfunctional family, lost greatness, and redemption. An absurdist and ironic sense of humor pervades the film, which features a soundtrack subsequently released in two albums. The Fire Within is a 1963 French drama film directed by Louis Malle. It is based on the novel Will O' the Wisp by Pierre Drieu La Rochelle which itself was inspired by the life of Jacques Rigaut. The film stars Maurice Ronet, Jeanne Moreau—who had previously worked with Ronet and Malle in Elevator to the Gallows—as well as Alexandra Stewart, Bernard Noel, Lena Skerla, Hubert Deschamps and Yvonne Clech. The score features the music of Erik Satie. George Orson Welles was an American actor, director, writer, and producer who worked in theatre, radio, and film. He is remembered for his innovative work in all three: in theatre, most notably Caesar (1937), a Broadway adaptation of William Shakespeare's Julius Caesar; in radio, the long-remembered 1938 broadcast "The War of the Worlds"; and in film, Citizen Kane (1941), consistently ranked as one of the greatest films ever made. Harlem is a large neighborhood in the northern section of the New York City borough of Manhattan. Since the 1920s, Harlem has been known as a major African American residential, cultural and business center. Originally a Dutch village, formally organized in 1658, it is named after the city of Haarlem in the Netherlands. Harlem's history has been defined by a series of economic boom-and-bust cycles, with significant population shifts accompanying each cycle. After debuting at the New York Film Festival, The Royal Tenenbaums received positive reviews from critics and was Anderson's most financially successful film until 2014's The Grand Budapest Hotel . 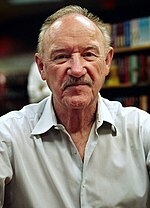 Hackman won a Golden Globe for his performance, and the screenwriters were nominated for the Academy Award for Best Original Screenplay. In 2016, it was included in BBC's 100 Greatest Films of the 21st Century. The Grand Budapest Hotel is a 2014 comedy film written and directed by Wes Anderson, from a story by Anderson and Hugo Guinness, inspired by the writings of Stefan Zweig, to which Anderson wrote the film as a tribute. Royal Tenenbaum explains to his three adolescent children, Chas, Margot, and Richie, that he and his wife, Etheline, are separating. Each of the Tenenbaum children achieved great success at a young age. Chas is a math and business genius, from whom Royal steals money. Margot, who was adopted by the Tenenbaums, was awarded a grant for a play that she wrote in the ninth grade. Richie is a tennis prodigy and artist. He expresses his love for his adopted sister Margot through many paintings. Royal takes Richie on regular outings, to which neither of the other children is invited. Eli Cash is the Tenenbaums' neighbor, and Richie's best friend. 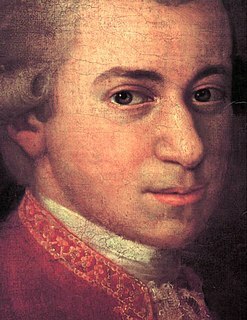 A child prodigy is defined in psychology research literature as a person under the age of ten who produces meaningful output in some domain to the level of an adult expert performer. Twenty-two years later, Royal is kicked out of the hotel where he has been living. All the Tenenbaum children are in a post-success slump, with Richie traveling the world on a cruise ship following a breakdown. He writes a letter to Eli revealing his love for Margot. Chas has become overprotective of his sons, Ari and Uzi, following his wife Rachael's death in a plane crash. Margot is married to neurologist Raleigh St. Clair, from whom she hides her smoking and her checkered past. Raleigh is conducting research on a subject named Dudley Heinsbergen. Etheline's longtime accountant, Henry Sherman, proposes to her. Learning of Henry's proposal, Royal claims that he has stomach cancer to win back the affections of Etheline and his children. Etheline calls each of her children home, and Royal moves into the family home and sets up medical equipment in Richie's room. Royal learns of Chas' overprotective nature and takes his grandsons on an adventure involving shoplifting and dog fighting. On their return, Chas berates him for endangering his boys, and Royal accuses Chas of having a nervous breakdown. Eli, with whom Margot has been having an affair, tells her that Richie loves her. Royal discovers the affair and objects to Margot's treatment of Raleigh, who confides to Richie his suspicions of Margot. He and Richie hire a private investigator to spy on her. Meanwhile, Henry investigates Royal's cancer claim and discovers his hospital had closed years before, his doctor does not exist, and that his cancer medication is only candy. He confronts Pagoda, the family servant, and gathers the whole family to tell them what he has discovered. Afterwards, Royal and Pagoda move out of the house. Richie and Raleigh get the private eye's report on Margot, which reveals her history of smoking and sexual promiscuity, including a previous marriage to a Jamaican recording artist. Both men take the news hard, with Richie going into a bathroom, shaving off his hair and beard, and slashing his wrists. Dudley finds him in a pool of blood, and Raleigh rushes him to the hospital. As the Tenenbaums sit in the waiting room, Raleigh confronts Margot and then leaves. Richie escapes the hospital and meets with Margot. They share their secret love and they kiss. Royal decides that he wants Etheline to be happy, and finally arranges for a divorce. Before Henry and Etheline's wedding, Eli, high on mescaline, crashes his car into the side of the house. Royal rescues Ari and Uzi, but the boys' dog, Buckley, is killed. Enraged, Chas chases Eli through the house and wrestles him to the ground. Eli and Chas agree that they both need psychiatric help. Chas thanks Royal for saving his sons and for buying them a Dalmatian from the responding firemen as a replacement for Buckley. Forty-eight hours later, Etheline and Henry are married in a judge's chambers. Some time later, Margot releases a new play inspired by her family, Raleigh publishes a book about Dudley's condition, Eli checks himself into a drug rehabilitation facility in North Dakota, and Richie begins teaching a junior tennis program. Chas becomes less overprotective of his children. Royal seems to have improved his relationship with all his children, and seems to be on better terms with Etheline. He has a heart attack and dies at the age of 68. Chas accompanies him in the ambulance on the way to the hospital, and is the only witness to his death. The family attends his funeral, where the epitaph dubiously reads that he "Died tragically rescuing his family from the wreckage of a destroyed sinking battleship." Gene Hackman and Anjelica Huston star as Royal and Etheline Tenenbaum. Filming took place at the Waldorf-Astoria. 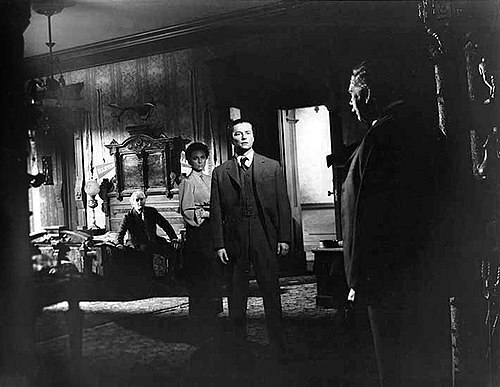 Orson Welles' 1942 film The Magnificent Ambersons influenced the film's themes, with Anderson selecting a main set reminiscent of Welles' production. Nico provided a model for Margot's character design. Critics debated the merits of Wes Anderson's style. Gwyneth Kate Paltrow is an American actress and businesswoman. She gained early notice for her work in films, such as Seven (1995), Emma (1996), Sliding Doors,A Perfect Murder and Shakespeare in Love. Her other film credits include The Talented Mr. Ripley (1999), The Royal Tenenbaums and Shallow Hal, Proof (2005), for which she earned a Golden Globe nomination, and Two Lovers (2008). She won a Primetime Emmy Award for Outstanding Guest Actress in a Comedy Series in 2011 for her five-episode role as Holly Holliday on the Fox television series Glee. In the Marvel Cinematic Universe, Paltrow portrays the character Pepper Potts, making her first appearance in Iron Man (2008), and later also in Iron Man 2 (2010), The Avengers (2012), Iron Man 3 (2013), Spider-Man: Homecoming (2017), and Avengers: Infinity War (2018). She will reprise her role in the upcoming Avengers: Endgame (2019). Anjelica Huston is an American actress, director, producer, author, and former fashion model. Huston became the third generation of her family to receive an Academy Award, when she won Best Supporting Actress for her performance in 1985's Prizzi's Honor, joining her father, director John Huston, and grandfather, actor Walter Huston. She received further Academy Award nominations for her performances in Enemies: A Love Story (1989) and The Grifters (1990), for Best Supporting Actress and Best Actress, respectively. 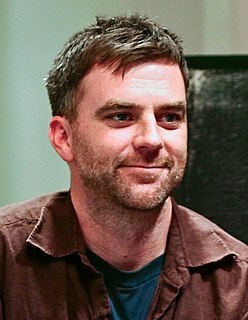 Paul Thomas Anderson, also referred to as P. T. Anderson or PTA, is an American filmmaker. 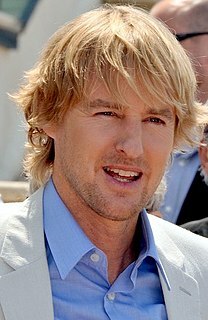 His films have been nominated for 25 Academy Awards, winning three for cast and crew. Shane Patrick Roche, known as Shane Richie, is an English actor, comedian, television presenter and singer. Following initial success as a stage and screen performer, he became best known for his portrayal of the character Alfie Moon in the BBC One soap opera EastEnders between 2002 and 2005 and then again from 2010 until 2016 and then in its spin-off RTÉ Drama Redwater in 2017. He returned to EastEnders in 2018. Margaret Ruth Kidder, professionally known as Margot Kidder, was a Canadian-American actress, director, and activist whose career spanned over five decades. Her accolades include three Canadian Screen Awards and one Daytime Emmy Award. Though she appeared in an array of films and television, Kidder is most widely known for her performance as Lois Lane in the Superman film series, appearing in the first four films. Grant Mandel Rosenmeyer is an American actor and screenwriter best known for his roles in The Royal Tenenbaums and on the FOX television sitcom Oliver Beene. Alfred Lewis Enoch is an English actor, best known for playing Dean Thomas in the Harry Potter film series and Wes Gibbins in the ABC legal drama television series How to Get Away with Murder. Jonah Meyerson is an American actor. 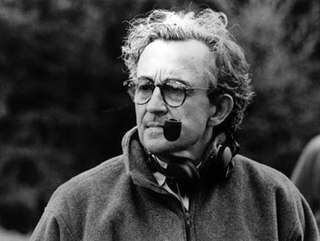 Robert David Yeoman, ASC is an American cinematographer. Yeoman is best known for his collaborations with directors Wes Anderson and Paul Feig. 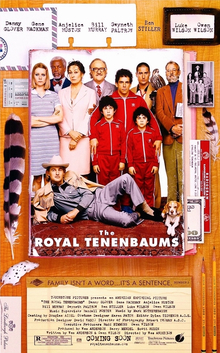 The soundtrack to The Royal Tenenbaums features a score composed by Mark Mothersbaugh. 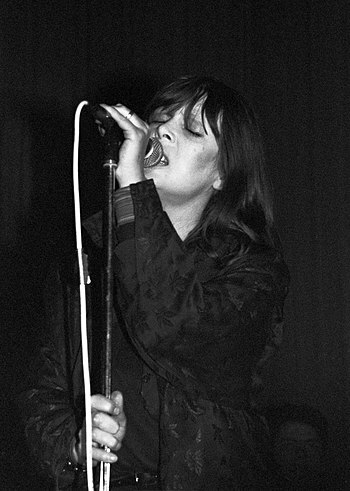 Also featured are a variety of rock songs from the 1960s through 1990s. Eric Chase Anderson is an American author, illustrator and actor. 1 2 3 Scott, A.O. (October 5, 2001). "Film Festival Review; Brought Up to Be Prodigies, Three Siblings Share a Melancholy Oddness". The New York Times . Archived from the original on September 18, 2017. Retrieved September 18, 2017. ↑ "The Royal Tenenbaums". IGN . Archived from the original on September 18, 2017. Retrieved September 18, 2017. ↑ "The Royal Tenenbaums". The Guardian . Archived from the original on April 6, 2016. Retrieved September 18, 2017. 1 2 3 "The Royal Tenenbaums". Box Office Mojo . 2014. Archived from the original on August 12, 2017. Retrieved July 25, 2017. 1 2 3 Staff (April 23, 2009). "Top 10 Troubled Genius Films". Time . Archived from the original on March 23, 2017. Retrieved September 19, 2017. 1 2 3 4 Redshaw, Rebecca (January 6, 2002). "'Tenenbaums' writer/director attracts stellar cast, led by Gene Hackman". Pittsburgh Post-Gazette . Archived from the original on September 19, 2017. Retrieved September 19, 2017. 1 2 3 4 Queenan, Joe (March 16, 2002). "Gene therapy". The Guardian . Archived from the original on September 17, 2017. Retrieved September 18, 2017. ↑ "The Royal Tenenbaums" (PDF) (in German). Berlin International Film Festival. 2002. Archived (PDF) from the original on August 23, 2004. Retrieved September 19, 2017. 1 2 3 Hutchinson, Sean (December 14, 2016). "28 Things You Might Not Have Known About The Royal Tenenbaums". Mental Floss . Archived from the original on September 21, 2017. Retrieved September 20, 2017. ↑ Monahan, Mark (March 9, 2002). "Film-makers on film: Wes Anderson". The Daily Telegraph . Archived from the original on August 1, 2017. Retrieved July 24, 2017. ↑ Perkins 2012, p. 100. 1 2 Jones, Kent (July 14, 2012). "The Royal Tenenbaums: Faded Glories". The Criterion Collection. Archived from the original on August 1, 2017. Retrieved July 25, 2017. 1 2 3 4 5 Seitz, Matt Zoller (October 7, 2013). "How Wes Anderson Made The Royal Tenenbaums". Vulture.com . Archived from the original on February 13, 2017. Retrieved July 31, 2017. 1 2 Kunze 2014, p. 97. ↑ Perkins 2012, p. 89. 1 2 3 4 5 6 Dilley 2017. ↑ Morgan, Kim (April 1, 2010). "Six Stories: Salinger Inspired Cinema". The Huffington Post . Archived from the original on February 22, 2017. Retrieved September 18, 2017. ↑ Marriott, Hannah (October 27, 2015). "Margot Tenenbaum: this season's hottest fashion muse is actually a school guidance counsellor". The Guardian . Archived from the original on August 27, 2017. Retrieved July 25, 2017. 1 2 3 4 5 6 Anderson, Wes (2012). The Royal Tenenbaums audio commentary (Blu-ray). The Criterion Collection. 1 2 Bitette, Nicole (June 17, 2016). "15 little known facts about Wes Anderson's 'The Royal Tenenbaums'". New York Daily News . Archived from the original on August 2, 2017. Retrieved July 31, 2017. 1 2 Alexander, Ella (October 7, 2015). "Margot Tenenbaum: How to dress like this season's style hero". Glamour . Archived from the original on July 25, 2017. Retrieved July 24, 2017. 1 2 3 Sampson, Josie (December 18, 2012). "Dressing The Royal Tenenbaums". The Huffington Post . Archived from the original on August 1, 2017. Retrieved July 31, 2017. 1 2 Staff (March 6, 2014). "Essential: The 6 Best Performances In The Films Of Wes Anderson". IndieWire . Archived from the original on July 25, 2017. Retrieved July 24, 2017. ↑ Edelstein, David (January 27, 2002). "Who are you calling a star?". The Guardian . Archived from the original on August 1, 2017. Retrieved July 31, 2017. ↑ Rabin, Nathan (September 7, 2016). "Just Barely Remembering 'Something Wilder', Gene Wilder's Ill-Fated 90s Sitcom". Splitsider . Archived from the original on August 1, 2017. Retrieved July 24, 2017. 1 2 3 4 Rooney, David (October 14, 2011). "Wes Anderson and 'Royal Tenenbaums' Cast Reunite At New York Film Festival". The Hollywood Reporter . Archived from the original on September 21, 2017. Retrieved July 24, 2017. ↑ "Bill Murray finds peculiar niche". BBC . February 15, 2004. Archived from the original on August 1, 2017. Retrieved July 31, 2017. 1 2 3 4 5 Kowalski, Eileen (February 21, 2002). "For 'Tenenbaums' design team, it's all in details". Variety . Archived from the original on October 7, 2017. Retrieved July 25, 2017. 1 2 3 McGeveran, Tom (June 4, 2001). "Wes Anderson's Dream House". New York Observer . Archived from the original on October 14, 2016. Retrieved July 24, 2017. ↑ Mayshark 2007, p. 127. 1 2 Perkins 2012, p. 91. ↑ Robe 2012, p. 116. ↑ Mayshark 2007, pp. 127-128. ↑ Higgins 2003, p. 92. ↑ Perkins 2012, p. 92. ↑ Plantinga 2009, pp. 93-94. 1 2 Perkins 2012, p. 87. ↑ Perkins 2012, pp. 91-92. ↑ Plantinga 2009, p. 96. 1 2 Browning 2011, p. 38. ↑ Mayshark 2007, p. 129. ↑ Browning 2011, p. 36. ↑ Browning 2011, p. 37. ↑ Turner 2008, pp. 159-160. ↑ Turner 2008, p. 161. ↑ Turner 2008, p. 164. ↑ Robe 2012, p. 109. ↑ Robe 2012, pp. 109-110. 1 2 Scheck, Frank (October 5, 2016). "'The Royal Tenenbaums': THR's 2001 Review". The Hollywood Reporter . Archived from the original on August 1, 2017. Retrieved July 31, 2017. ↑ Olson, Josh (June 17, 2016). "Trailers from Hell: Josh Olson on Wes Anderson's Absurdist Family Comedy 'The Royal Tenenbaums'". IndieWire . Archived from the original on July 31, 2017. Retrieved July 31, 2017. ↑ LaSalle, Mick (December 21, 2001). "A uniquely unhappy family / 'Tenenbaums' an ironic, offbeat comedy with a sad core". San Francisco Chronicle . Archived from the original on August 1, 2017. Retrieved July 31, 2017. 1 2 Mayshark 2007, p. 128. 1 2 Plantinga 2009, p. 92. ↑ Browning 2011, p. 33. ↑ Wilkins 2014, p. 31. ↑ Wallace, Amy (December 2001). "Bitter Sweet Dreamers". Los Angeles Magazine . p. 93. ↑ Pramaggiore & Wallis 2005, p. 72. ↑ Caldwell 2011, p. 193. ↑ Mercado 2013, p. 47. ↑ Wilkins 2014, p. 32. ↑ Browning 2011, p. 132. 1 2 Simonson, Mark (August 17, 2004). "Royal Tenenbaum's World of Futura". Mark Simonson Studio. Archived from the original on June 7, 2017. Retrieved July 25, 2017. 1 2 Winters 2012, p. 52. 1 2 3 4 Donnelly 2015. 1 2 Hughes, William (December 14, 2016). "The Royal Tenenbaums soundtrack is the film dork's secret musical weapon". The A.V. Club . Archived from the original on July 28, 2017. Retrieved July 24, 2017. ↑ Perez, Rodrigo (May 25, 2012). "Make Your Own Mixtape: 17 Songs From Wes Anderson's Films That Are Not On The Official Soundtracks". IndieWire . Archived from the original on July 28, 2017. Retrieved July 25, 2017. 1 2 Knegt, Peter (March 10, 2014). "A History of Wes Anderson at the Box Office, From 'Bottle Rocket' to 'Budapest Hotel'". IndieWire . Archived from the original on July 25, 2017. Retrieved July 25, 2017. ↑ Editor (December 14, 2001). "Review: 'The Royal Tenenbaums'; Goodbye Ruby Tuesday". IndieWire . Archived from the original on July 25, 2017. Retrieved July 25, 2017. ↑ "Stars come to Berlin for festival". The Guardian . January 30, 2002. Archived from the original on September 11, 2017. Retrieved July 25, 2017. 1 2 Jagernauth, Kevin (August 24, 2011). "New York Film Festival Presenting 10th Anniversary Screening Of 'The Royal Tenenbaums'". IndieWire . Archived from the original on July 25, 2017. Retrieved July 25, 2017. ↑ Chitwood, Adam (September 3, 2012). "The Royal Tenenbaums Criterion Blu-ray Review". Collider . Archived from the original on September 11, 2017. Retrieved July 25, 2017. ↑ "Wes Anderson: Hollywood's new king of comedy". The Independent . February 8, 2002. Archived from the original on July 25, 2017. Retrieved July 25, 2017. ↑ Khatchatourian, Maane (April 14, 2014). "'Grand Budapest Hotel' Hits $100 Mil, Becomes Wes Anderson's Highest-Grossing Pic". Variety . Archived from the original on September 11, 2017. Retrieved July 25, 2017. ↑ "The Royal Tenenbaums (2002)". Rotten Tomatoes . Archived from the original on December 21, 2013. Retrieved July 25, 2017. ↑ McCarthy, Todd (October 4, 2001). "Review: 'The Royal Tenenbaums'". Variety . Archived from the original on August 1, 2017. Retrieved July 24, 2017. ↑ Schickel, Richard (December 31, 2001 – January 7, 2002). "The Royal Tenenbaums (Motion Picture)". Time . Vol. 158-159 no. 28. p. 146. ↑ Ebert, Roger (December 21, 2001). "The Royal Tenenbaums". Rogerebert.com. Archived from the original on August 1, 2017. Retrieved July 24, 2017. ↑ LaSalle, Mick (July 12, 2002). "Anderson's majestic 'Tenenbaums' / Hackman at his finest in funny, affecting film". San Francisco Chronicle . Archived from the original on August 1, 2017. Retrieved July 24, 2017. ↑ Lane, Anthony (December 17, 2001). "Bloody Relations". The New Yorker . Archived from the original on September 18, 2017. Retrieved September 17, 2017. ↑ Lumenick, Lou (December 14, 2001). "O, 'Tenenbaums'!". The New York Post . Archived from the original on October 16, 2016. Retrieved September 18, 2017. ↑ Travers, Peter (December 13, 2001). "The Royal Tenenbaums". Rolling Stone . Archived from the original on October 29, 2016. Retrieved September 18, 2017. ↑ Dargis, Manohla (December 12, 2001). "High Hopes". L.A. Weekly . Archived from the original on September 18, 2017. Retrieved September 17, 2017. ↑ Rainer, Peter. "A Royal Scam". New York . Archived from the original on October 2, 2017. Retrieved July 24, 2017. ↑ Turan, Kenneth (December 14, 2001). "Their Particular Brand of Dysfunction". The Los Angeles Times . Archived from the original on October 22, 2015. Retrieved July 24, 2017. ↑ Susman, Gary (April 7, 2013). "By The Numbers: 10 Memorable Movie Accountants". Time . Archived from the original on November 2, 2016. Retrieved September 18, 2017. ↑ Thomson, Lisa (November 14, 2014). "What We Can Learn From The Royal Tenenbaums". The Huffington Post . Archived from the original on March 3, 2015. Retrieved September 18, 2017. ↑ Clarke, John (September 7, 2017). "Tennis Movies Are Usually Terrible—But These Three Might Break the Curse". Vanity Fair . Archived from the original on September 19, 2017. Retrieved September 18, 2017. ↑ "The 500 Greatest Movies Ever Made". Empire . Archived from the original on November 28, 2011. Retrieved March 3, 2012. And you thought your family was crazy... Anderson's eccentric, hilarious and moving dramedy about the world's most dysfunctional clan is almost too quirky for its own good. Almost. ↑ "The 21st Century's 100 greatest films". BBC. August 23, 2016. Archived from the original on January 31, 2017. Retrieved December 16, 2016. ↑ Schwarzbaum, Lisa (December 20, 2001). "The Royal Tenenbaums". Entertainment Weekly . Archived from the original on September 21, 2017. Retrieved July 24, 2017. ↑ Kiang, Jessica; Lyttelton, Oliver (September 24, 2015). "Ranked: Wes Anderson's Most Memorable Characters". IndieWire . Archived from the original on June 6, 2017. Retrieved September 20, 2017. ↑ "'Rings' lords over Oscar with 13 nominations". CNN . February 12, 2002. Archived from the original on January 31, 2011. Retrieved September 18, 2017. ↑ Staff (January 22, 2002). "See the complete list of Golden Globes winners". Entertainment Weekly . Archived from the original on February 5, 2017. Retrieved September 18, 2017. ↑ "The 74th Academy Awards - 2002". Academy of Motion Picture Arts and Sciences. Archived from the original on November 9, 2014. Retrieved July 23, 2017. ↑ McNary, Dave (January 27, 2002). "Editors to cut nom chase". Variety . Archived from the original on July 25, 2017. Retrieved July 25, 2017. ↑ "Honoured by the AFI". The Guardian . January 7, 2002. Archived from the original on July 24, 2017. Retrieved July 24, 2017. ↑ "Film in 2002". British Academy of Film and Television Arts. Archived from the original on November 4, 2014. Retrieved June 19, 2017. ↑ Armstrong, Mark (December 18, 2001). "Broadcast Critics Feel 'Beautiful'". E! Online . Archived from the original on July 24, 2017. Retrieved July 24, 2017. ↑ "Chicago Film Critics Association Announce Their Nominees!". PR Newswire . January 16, 2002. Archived from the original on July 19, 2017. Retrieved July 19, 2017. ↑ Elder, Rob (February 26, 2002). "Chicago critics pick 'Mulholland Drive'". Chicago Tribune . Archived from the original on August 28, 2016. Retrieved July 23, 2017. ↑ "Royal Tenenbaums, The". goldenglobes.com. Hollywood Foreign Press Association. Archived from the original on March 6, 2016. Retrieved July 24, 2017. ↑ "Här är alla Guldbaggen-vinnare". Expressen . February 3, 2003. Archived from the original on July 25, 2017. Retrieved July 25, 2017. ↑ "Past Awards". nationalsocietyoffilmcritics.com. National Society of Film Critics. Archived from the original on July 29, 2017. Retrieved July 23, 2017. ↑ Lyons, Charles (December 13, 2001). "'Mulholland' named NY crix top pick". Variety . Archived from the original on July 24, 2017. Retrieved July 24, 2017. ↑ Editors (December 19, 2001). "Hedwig and the Angry Inch scores six Golden Satellite nominations". Advocate . Archived from the original on July 25, 2017. Retrieved July 25, 2017. ↑ "Past Award Winners". torontofilmcritics.com. Toronto Film Critics Association. Archived from the original on July 15, 2015. Retrieved July 23, 2017. ↑ "Writers Guild nominations tip A Beautiful Mind". The Guardian . February 8, 2002. Archived from the original on June 13, 2014. Retrieved July 23, 2017. ↑ "Twenty-Third Annual Young Artist Awards 2002". youngartistawards.com. Young Artist Awards. Archived from the original on April 4, 2016. ↑ Chaney, Jen (October 19, 2004). "'Arrested Development's' Funny Features". The Washington Post . Archived from the original on February 28, 2017. Retrieved July 25, 2017. ↑ Robinson, Tasha (February 9, 2005). "Interviews: Focus On Television Mitchell Hurwitz". The A.V. Club . Archived from the original on December 28, 2008. Retrieved March 4, 2010. ↑ Baldwin, Alec (2017). "Alec Baldwin's Top 10". The Criterion Collection. Archived from the original on November 12, 2016. Retrieved July 25, 2017. ↑ Hiatt, Brian (January 31, 2013). "The Last Days of '30 Rock'". Rolling Stone . Archived from the original on June 27, 2017. Retrieved July 25, 2017. ↑ Cartner-Morley, Jess (October 9, 2015). "What I wore this week: glam geek". The Guardian . Archived from the original on December 28, 2016. Retrieved July 25, 2017. ↑ Cochrane, Lauren (August 24, 2015). "Fantastic Mr Wes Anderson: how Tenenbaum chic took over the catwalks". The Guardian . Archived from the original on June 27, 2017. Retrieved July 25, 2017. Browning, Mark (2011). Wes Anderson: Why His Movies Matter. Santa Barbara, California, Denver and Oxford: Praeger. ISBN 1598843524. Caldwell, Thomas (2011). Film Analysis Handbook: Essential Guide to Understanding, Analysing and Writing on Film. Insight Publications. ISBN 1920693777. Dilley, Whitney Crothers (2017). "The Interplay of Narrative Text, Language and Film: Literary Influence and Intertextuality in The Royal Tenenbaums". Cinema of Wes Anderson: Bringing Nostalgia to Life. Columbia University Press. ISBN 0231543204. Donnelly, Kevin J. (2015). Magical Musical Tour: Rock and Pop in Film Soundtracks. Bloomsbury Publishing USA. ISBN 1628927143 . Retrieved July 24, 2017– via Google Books. Higgins, Gareth (2003). How Movies Helped Save My Soul: Finding Spiritual Fingerprints in Culturally Significant Films. Relevant Media Group. ISBN 0971457697. Konigsburg, E.L. (1998). From the Mixed-Up Files of Mrs. Basil E. Frankweiler. Atheneum Books for Young Readers. ISBN 0689711816. Kornhaber, Donna (2017). "The Royal Tenenbaums". Wes Anderson: Contemporary Film Directors. University of Illinois Press. ISBN 0252099753. Kunze, Peter C. (2014). "From the Mixed-Up Films of Mr. Wesley W. Anderson: Children's Literature as Intertexts". In Peter C. Kunze. The Films of Wes Anderson: Critical Essays on an Indiewood Icon. Springer. ISBN 1137403128. Mayshark, Jesse Fox (2007). Post-pop Cinema: The Search for Meaning in New American Film. Westport, Connecticut and London: Greenwood Publishing Group. ISBN 027599080X. Mercado, Gustavo (2013). The Filmmaker's Eye: Learning (and Breaking) the Rules of Cinematic Composition. Taylor & Francis. ISBN 113605734X. Perkins, Claire (2012). American Smart Cinema. Edinburgh University Press. ISBN 0748654259. Plantinga, Carl (2009). "Stories and Sympathies". Moving Viewers: American Film and the Spectator's Experience. Berkeley, Los Angeles and London: University of California Press. ISBN 0520943910. Pramaggiore, Maria; Wallis, Tom (2005). Film: A Critical Introduction. Laurence King Publishing. ISBN 1856694429. Robe, Chris (2012). "Wes Anderson, Entitled Masculinity, and the 'Crisis' of the Patriarch". In Timothy Shary. Millennial Masculinity: Men in Contemporary American Cinema. Detroit: Wayne State University Press. ISBN 0814338445. Turner, Daniel Cross (2008). "The American Family (Film) in Retro: Nostalgia As Mode in Wes Anderson's The Royal Tenenbaums". In Christina Lee. Violating Time: History, Memory, and Nostalgia in Cinema. New York: Bloomsbury Publishing USA. ISBN 1441142967. Wilkins, Kim (2014). "Cast of Characters". In Peter C. Kunze. The Films of Wes Anderson: Critical Essays on an Indiewood Icon. Springer. ISBN 1137403128. Winters, Ben (2012). "'It's All Really Happening': Sonic Shaping in the Films of Wes Anderson". In James Eugene Wierzbicki. Music, Sound and Filmmakers: Sonic Style in Cinema. Routledge. ISBN 0415898935.